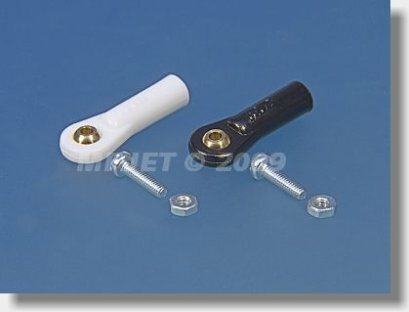 Ball joints (plastic eye with thread M2, brass pin with an external diameter of 5 mm and a screw hole for M2). For accurate and completely free connection rod movement in all planes. The kit includes bolts and nuts M2.